On the NE corner of 1st St. & Garfield in downtown Phoenix sits our very first brick & mortar location. 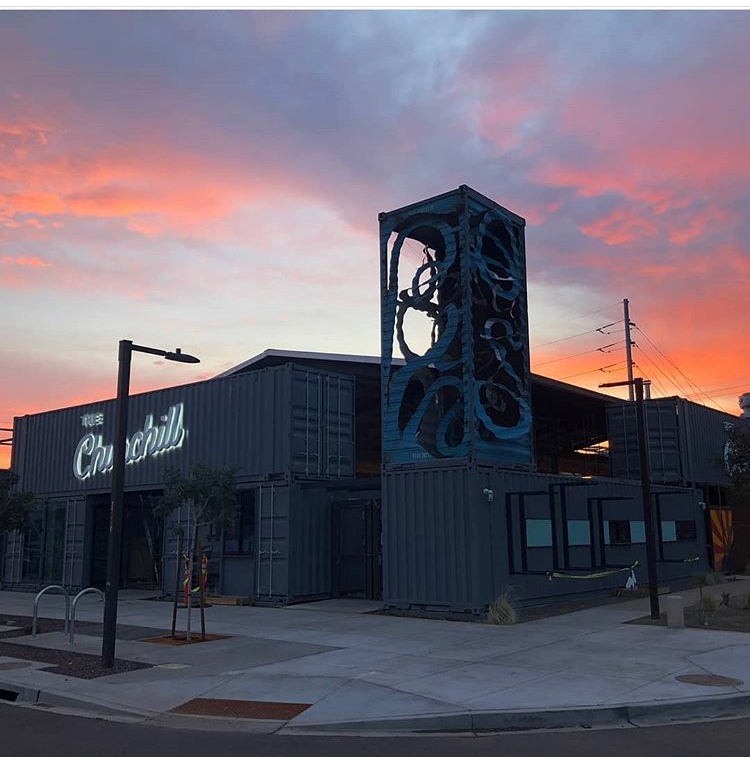 The Churchill is a 14,000-square-foot marketplace with multiple businesses housed in repurposed shipping containers, all sharing a central courtyard. The Churchill is built to become a gathering place for the Phoenix community. This unique gathering place consists of four restaurants, two bars, and four retail shops.